We are very pleased to announce our seventh year of Sādhana Ritual Courses, scheduled for January 2017 in Kathmandu, Nepal. The courses will focus on the preliminary practices and sādhana practices from the Chokling New Treasures Lineage (Chokling Tersar). The main points of practice, as well as the ritual tradition of chant melodies, mudrās, torma, shrine arrangement, musical instruments and more will be taught in Tibetan by Lama Sherab Dorje, a senior lama of Ka-nying Shedrub Ling monastery, and translated into English. Our objective is for non-Tibetan practitioners to be able to learn and practice the Vajrayāna ritual tradition in a genuine and thorough way. 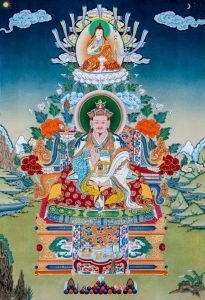 Moreover, this year, the year of the monkey, is extremely auspicious and special because it is the year in which Guru Rinpoche manifested on this earth. This being so, all three courses focus on Guru Rinpoche practices. 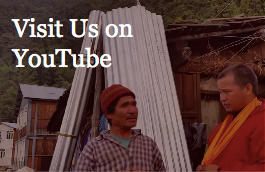 To read more about these practices and the Chokling Tersar lineage, please scroll down. The necessary empowerments and reading transmissions for the courses will be given at the beginning of the courses by either Kyabjé Tsikey Chokling Rinpoche or Kyabgön Phakchok Rinpoche. Requested donation of USD 100 for each course. (This will include shared accommodation, food, and all the necessary practice texts.) Scholarships and concessions are available. Please email us at [email protected] to inquire. 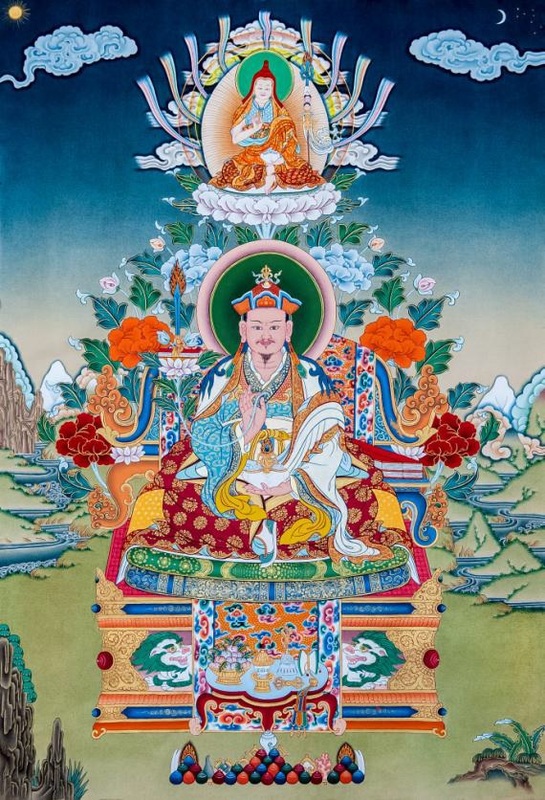 The Chokling Tersar, or Chokling New Treasures Lineage, is the collected treasure revelations of the great treasure revealer Orgyen Chokgyur Lingpa (1829-1870), one of the greatest visionary masters in Tibetan history. These teachings and practices are a direct transmission from the great Lotus-born Master, Guru Padmasambhava and are specifically meant to be transmitted and practiced during this day and age and are now widely practiced by both the Kagyu and Nyingma schools of Tibetan Buddhism. 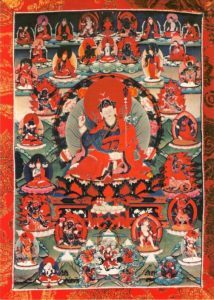 These preliminary practices (ngöndro), also known as the Four Foundations, include contemplations on the four mind-changings to turn our mind towards the dharma, and the practices of refuge, bodhicitta and so on to purify our negative karma and obscurations and to gather the accumulations of merit and wisdom. 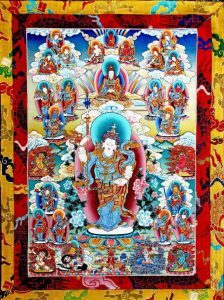 The particular preliminary practices we will be learning come Lamé Tukdrub Barché Künsel, (Accomplishing the Guru’s Wisdom Mind, Dispeller of All Obstacles), a blessed cycle of treasure teachings given by Guru Rinpoche and revealed by Chokgyur Lingpa. 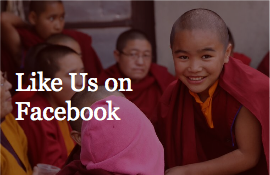 For more information, see The Great Gate by Rangjung Yeshe Publications. 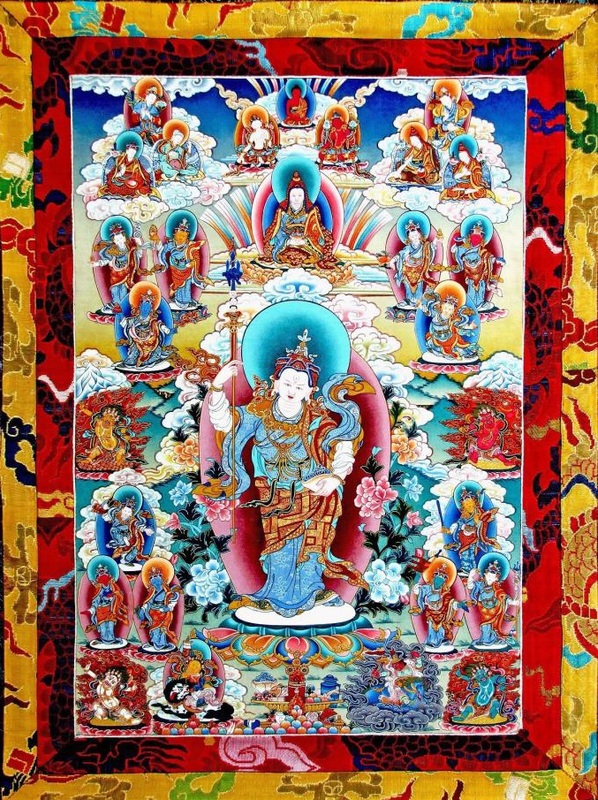 The Tukdrub Trinley Nyingpo pertains to one of the main cycles of teachings in the Chokling Tersar known as Lamé Tukdrub Barché Künsel, (Accomplishing the Guru’s Wisdom Mind, Dispeller of All Obstacles). The Trinley Nyingpo is the condensed sādhana from this cycle. 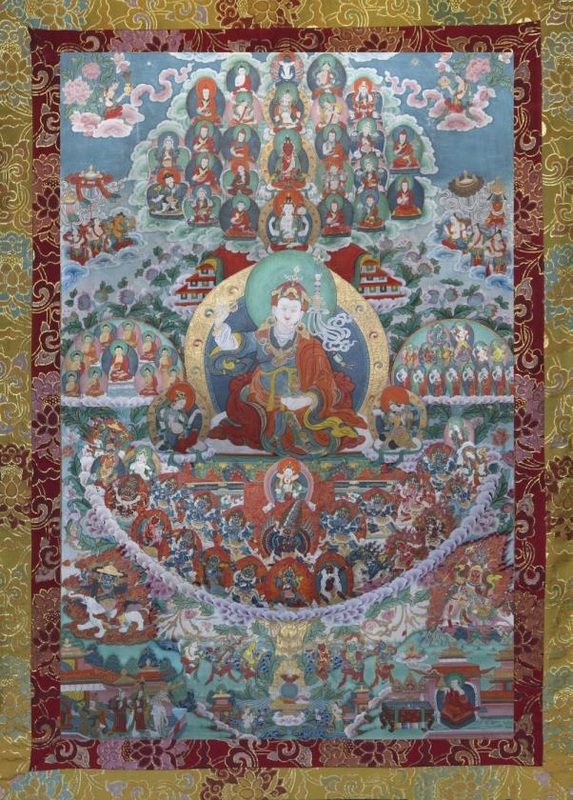 The chief figure in the practice is Guru Rinpoche, with the sambhogakāya Avalokiteśvara and the dharmakāya Amitābha, surrounded by his twelve emanations. The Trinley Nyingpo is one of the most popular and widely-practiced sādhanas in the Chokling Tersar and is a practice that many people around the world seem to have a strong connection with. 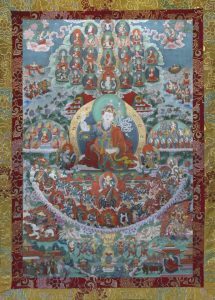 The Barché Künsel is the heart essence of the accomplished master Padmasambhava, who perceives the three times in their entirety. It is the quintessence of one billion heart sādhanas of the Guru, the most unique terma buried in the land of Tibet, and it is the first among the Four Cycles of Guru Sadhana. This Accomplishing the Guru’s Wisdom Mind, Dispeller of All Obstacles contains in completeness all the profound key points of the view, meditation, and conduct of the Three Inner Yoga Tantras. This pure and perfect teaching, which effortlessly bestows, in accordance with one’s wishes, the all-encompassing supreme and common siddhis, temporarily and ultimately, was an unprecedented diffusion of the gemstones of the profound meaning, like opening up the treasury of the universal monarch. Tukdrub Yishyin Norbu (Spontaneous Fulfiller of All Wishes) is a blessed teaching given by Guru Rinpoche and revealed by the great treasure revealer Chokgyur Lingpa. 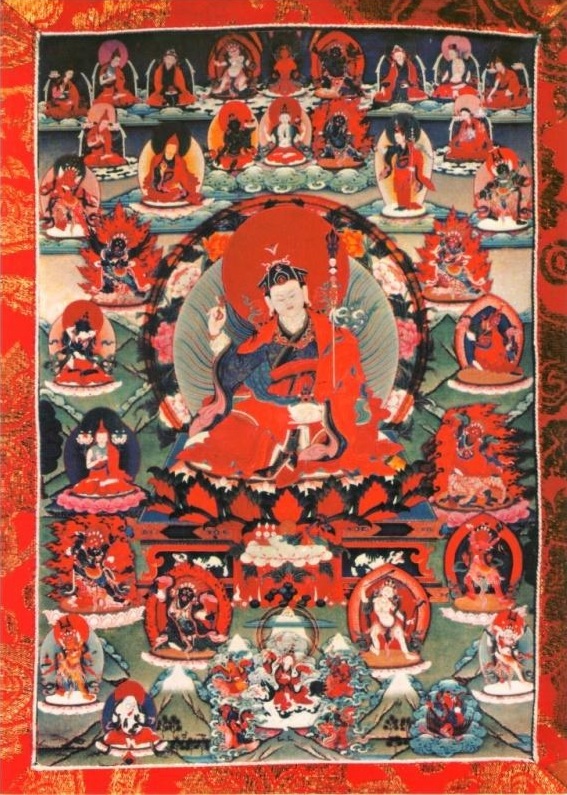 This unique practice of Guru Rinpoche and his thirteen emanations is said to be extremely effective in helping oneself and others achieve good fortune and protection from all types of calamities, temporary and ultimate, such as conflict, disease, poverty, obstacle-makers, vicious animals, disturbances of the four natural elements, robbers, sudden death, the intermediate state, clinging to reality, and the sufferings of the six classes of beings. We will be learning the medium-length sādhana of this practice. This entry was posted in Events by [email protected]. Bookmark the permalink.